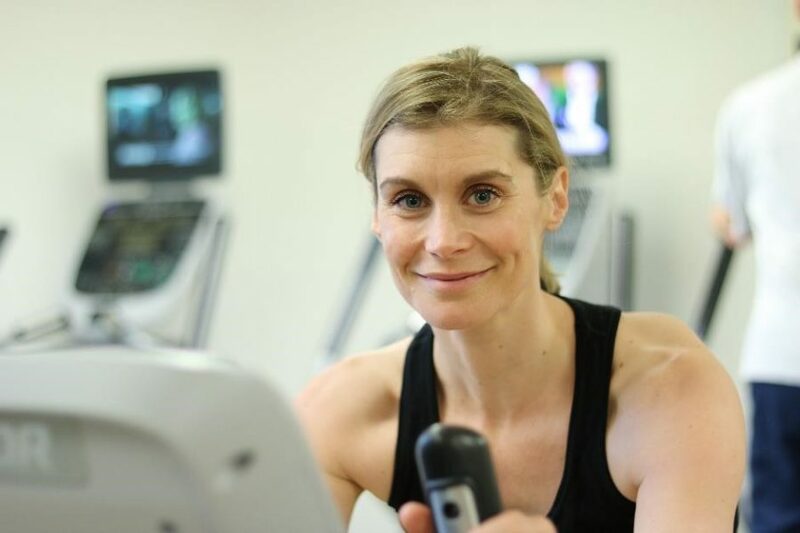 Kim Tiddy, 40, a Surbiton local and an actress, wanted to get in shape during and after her pregnancy and was looking for a personal trainer with pre and post-natal qualifications. A friend recommended personal trainer Pamela David at YMCA Surbiton’s Health & Wellbeing centre, and Kim began her sessions at three months into her pregnancy. “Pam was always sensitive about my pregnancy as there are certain exercises you can’t do which involve lifting your arms above your head or raising your heart rate too much. We stuck to a weight training programme which suited me and I continued to exercise until I was 8 months’ pregnant. “My goal was about being healthy and I had a very calm pregnancy – I know exercise helped towards that,” says Kim. It’s not easy fitting exercise into a hectic schedule with a baby, no two days are the same and some days can be particularly difficult with poor sleep after a rough night. But Kim makes it a priority if she can. What would Kim’s advice be to mums-to-be and new mums? “I would say don’t put too much pressure on yourself. I think exercise helps with managing stress, and it gives you time to focus on ‘you’ completely. There’s this saying: ‘you’ll regret the workout you don’t do’ and I agree with that. “I prioritise the cost of the personal training and work it into my budget – I don’t go out socially much now because of the baby, so I’m not spending money there. I don’t buy clothes and only have time to get my hair done twice a year! All of which means I can afford it. Kim’s partner Simon and her family are around to look after her son when she comes to YMCA Surbiton for her sessions.